Also, A must-have tool provides wealth of useful information is PRL’s new 2018 Architectural Glass catalog request your hard copy now! Showcasing over 160 pages of glass and metal products with informative diagrams, charts and amazing photos. Filled with tons of great information, these materials showcases our max slider, accordions, handrail and guardrail systems, shower units, full framed and all-glass doors, panic systems and more. Request both copies today while supplies last! It’s easy. Add them into the shopping cart for free or Just complete a form on our website. PRL Glass & Aluminum. 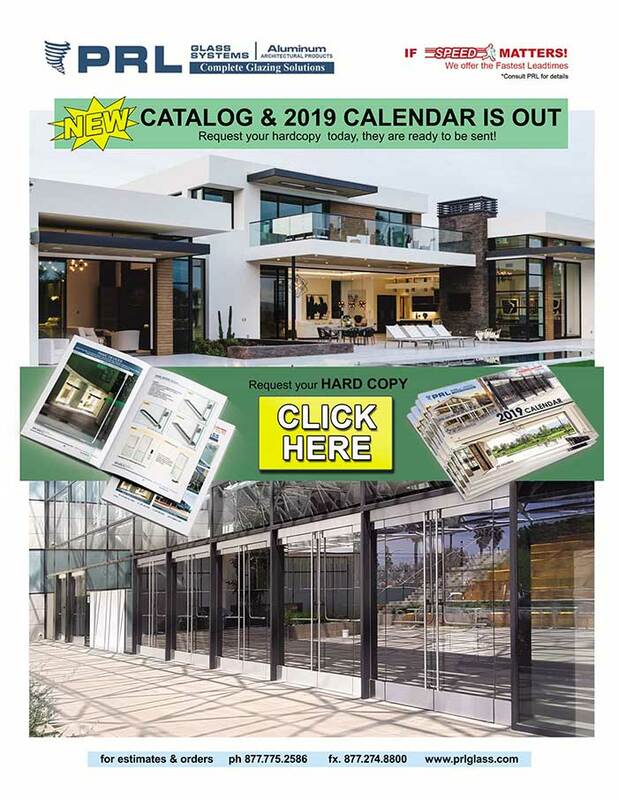 Not only do we bring you great products, but our catalog & calendar keeps you on track for 2019.